As a property estate agent, it’s all about generating new sales. You need an easy-to-use website, which is designed to present appealing photos of your properties and attract the attention of new buyers. We give you the tools to keep your website up-to-date with your latest homes; and we also make it easy for you to remove the properties you have just sold or rented. It's really doesn't matter. QuickontheNet.com is a very flexible solution and it will work perfectly well for lettings or sales, or a mix of lettings and sales together. Likewise, it works perfectly well for residential homes, and/or commercial units, such as office spaces or retail shops. It's your choice! 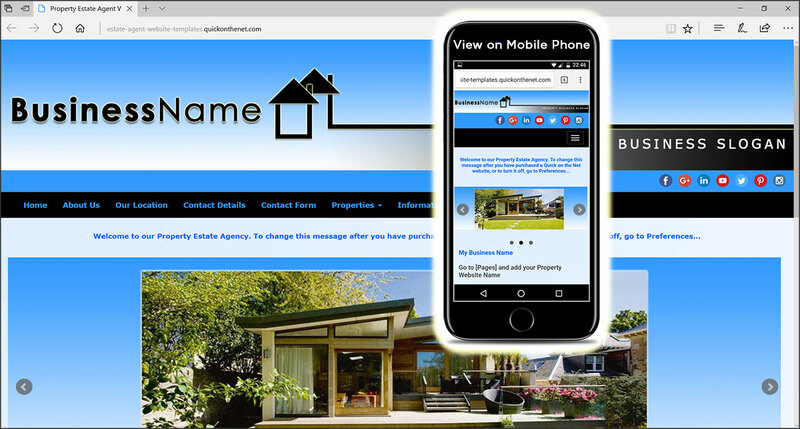 For your home buyers, your estate agent website is also quick and simple to use. Your properties are fully searchable, based on the keywords you add to each property (each gallery item).